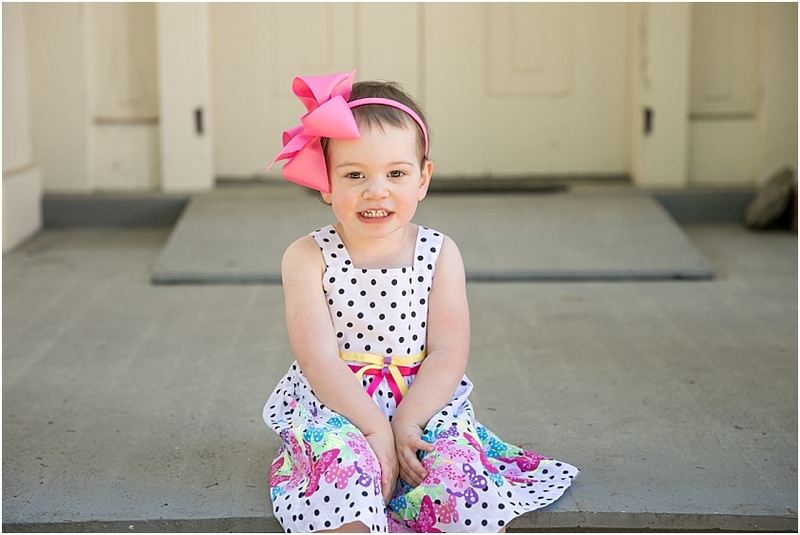 I met Ainsley and her parents at Smithville Mansion for a family session and 2nd birthday portraits. We lucked out with a beautfiul day that luckily wasn’t too warm. Ainsley gave me my workout for the day running around after her but we had so much fun! I love letting toddlers play and run during our session so we can capture natural smiles and laughs! After we took Ainsley’s portraits we did some family pictures around the Smithville Mansion grounds. I love shooting there since they always keep the mansion so beautifully decorated and it didn’t disappoint for this session.